Leeds-based business, White Rose Office Park, are pleased to welcome their latest tenant Elliott Hudson College. The college, who provide post-16 education to over 1,000 students, have signed a lease on a 75,000 sq ft office park building to create a ‘dynamic learning environment’ within the unique facility for pupils and staff members. The building itself has undergone a refurbishment of over £12 million to suit the needs of the college, including work to create six computer suites, a dedicated cafeteria, multi-faith and social spaces, as well as a number of state of the art facilities. Elliott Hudson College is the first educational occupier of White Rose Office Park, which caters for over 5,000 members of staff across 6 businesses to date, incorporating city centre amenities just a stone's throw from the popular White Rose Shopping Centre. 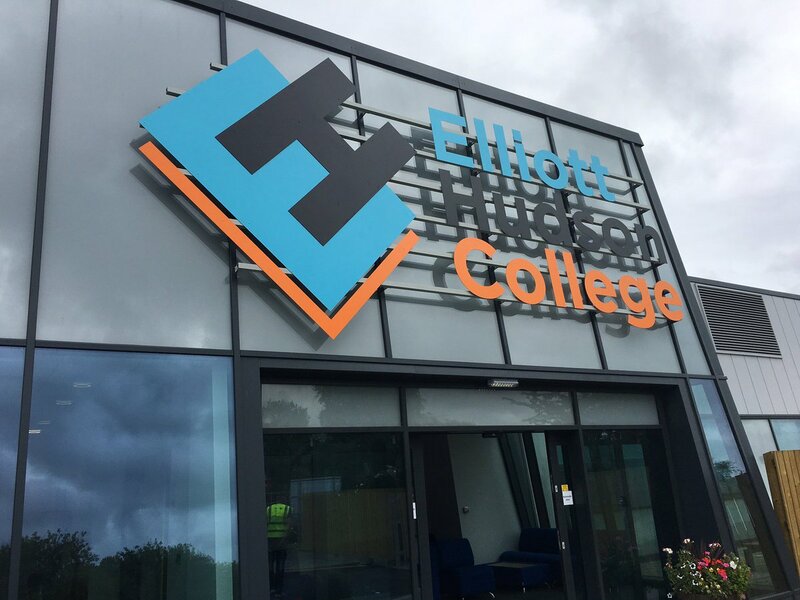 “In September 2017 Elliott Hudson College moved into MC2, its new state of the art facility which is within the commercial sector of White Rose Office Park. An investment of over £12 million from the Education and Skills Funding Agency has been invested in this 75,000 sq ft building to create facilities to support academic study. In addition to the 40 teaching areas, MC2 has six computer suites and two Apple Mac suites, providing the college with over 400 PCs for students to use. Issued on behalf of White Rose Office Park by Little Agency. For more information, contact Grace Schofield on whiterose@wearelittle.agency or call 0113 828 0000. Developed by Munroe K, White Rose Office Park is a modern and unique office location situated 5 minutes from Leeds city centre, and is already home to several high profile global brands. Currently boasting six businesses, with a total of over 5,000 employees or attendees, the office park has been developed into a multi-use environment with an emphasis on work/life benefits and amenities. The Grade A office spaces cater for both SME’s and large corporations, ranging in size from 850 sq ft to 85,000 sq ft; all of which benefit from excellent road and rail links, and quick access to Leeds Bradford Airport. The site includes many desirable facilities, such as on-site nursery, car parking, 24/7 security, multiple restaurants and client entertainment facilities, not to mention excellent conference facilities and local amenities including White Rose Shopping Centre, just on the doorstep. All of these make an excellent location option for any business looking to expand or relocate. This press release was distributed by ResponseSource Press Release Wire on behalf of White Rose Office Park in the following categories: Business & Finance, Education & Human Resources, Construction & Property, for more information visit https://pressreleasewire.responsesource.com/about. White Rose Office Park - Leeds’ foremost office location Home to global names including O2, HSBC, WSP, Capita and HMRC to name a few. Don’t settle for anything less… join one of the country’s most unique business spaces.